Apple executives this week made an unusual and surprising announcement, detailing the company's work on an entirely revamped high-end modular Mac Pro that's set to be released sometime after 2017. No specific information on a potential release date was shared, but OSnews' Thom Holwerda has shared some tidbits heard from "people and sources who know their stuff," giving a little insight into just when we might see the revamped Mac Pro and why Apple decided to renew its focus on professional users. Ahead of Apple's announcement, Holwerda says the Mac Pro was in limbo, and Apple wasn't sure what was going to happen to the machine. Apparently, the negative response to the MacBook Pro with Touch Bar, which many complained was not oriented towards pro users, was a major factor. Apple saw a surge of orders for older MacBook Pros instead of the new model, and that, combined with the reaction to the LG 5K display and the "constant negativity" from professional users, led Apple to "double down on professional users." The decision to move ahead with a modular Mac Pro replacement was made "in recent months" with development starting "only a few weeks ago," suggesting it's going to be a long wait. Given a rough estimate of the length of time it normally takes to develop a project, it could be late 2018 or even 2019 before we see the machine. The decision to go ahead and develop a modular Mac Pro replacement seems to have been made only in recent months, with development starting only a few weeks ago, which makes it clear why Apple said it won't ship this year. I have no idea how long it takes to develop a new computer like a Mac Pro, but I think we can expect the new Mac Pro late 2018 at the earliest, but most likely it won't be until early 2019 before it ships. Aside from the Mac Pro, Holwerda also believes Apple is working on additional MacBook Pro models sans Touch Bar, and developing other features aimed at professionals, such as pairing the iPad Pro with a Mac so that it can be used as a Cintiq-style drawing tablet. Apple hasn't shared a lot of detail on the new Mac Pro, but the promised modular design will allow professional users to keep it up to date with new hardware on a regular basis. Apple executives have said the machine will also be able to handle virtual reality software and high-end cinema editing, pointing towards support for higher-end single GPUs, and Apple also plans to ship the machine with an Apple-branded professional display. It is courageous to call feedback from users "negativity"
This essentially proves Ive and Co. haven't even been designing successors to the Mac Pro in the background, over the past four years. What did Apple expect after ignoring their Pro hardware for years and years? Constant positivity? Listening, maybe. 2 years to resolve it, after admitting it? Fail. Just offer both right now. Use an old physical architecture with a new set of guts. THIS YEAR. This couldn't be any truer. I'm an IT Admin at an all-Mac office, and we ended up purchasing over $100,000 worth of the older MacBook Pros instead of the TouchBar ones in fear of Apple discontinuing them. Apple has a serious ego problem; thinking every business can just switch their entire infrastructure just for new tech that isn't technically better, yet costs more. The hassle of retrofitting our office and conference rooms overnight with USB-C displays and a myriad of USB-C adapters per user, is a completely unreasonable and cost-prohibitive request. As Pro user they for sure dropped the ball on the Mac for many years. 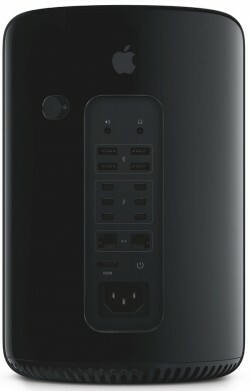 I am still using my MacPro 2011 12 core tower and the machine still rocks. It is just 1 sec slower that the current MPs. Upgrading the internals is the key for the success. Soldering everything is a huge mistake. You mean Apple didn't thought that professionals would notice that it is abandoning them? Not surprising from what we see in the MBP forum. Its been in limbo for 3 years, so its good that Apple laid out a roadmap of what will happen. This essentially proves Ive and Co. haven't even been seriously designing successors to the Mac Pro in the background, over the past four years. What about that "pipeline" Mr. Cook has yapping all the time? The pipeline must be filled with dung. Within the last 24 hours, the direction of Apple has changed... and I like it.